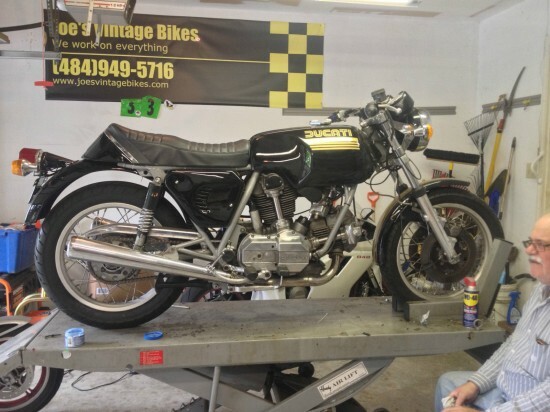 We feature a great many beautiful classics and original Ducatis on this site. This one’s maybe more of a mongrel than the other two thoroughbreds from earlier this week, but who doesn’t love a mutt? 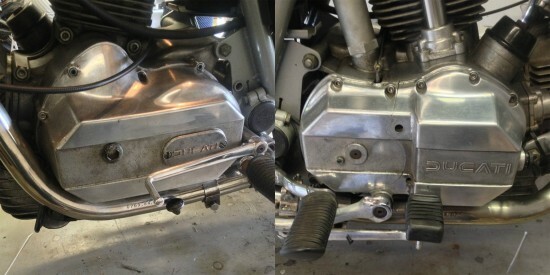 As long as modifications are made in the spirit of the bike, and can be reversed, what does it really matter? Resto-mod style improvements and updates may damage collectability and originality, but they just improve ridability. With the Ducati 860GT, collectability isn’t so much an issue yet and, if you want membership in Club Bevel, this is basically your ONLY relatively affordable option. 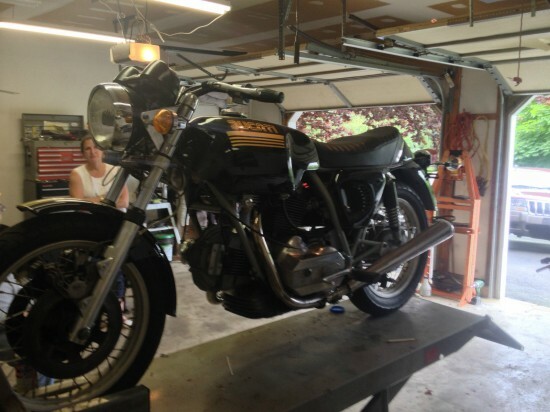 Produced in 1974 and 1975 as Ducati’s entry-level v-twin, they sold well at the time, and their relative availability, combined with their somewhat less-desirable status, makes them relatively affordable today. Although, like all the bevel-drive twins, they’re headed north in terms of value. This particular bike looks to be a bit of a “bitsa”, but is clean and sharp. Clearly, whoever put this together wasn’t a fan of the 860’s Giugiaro-designed angularity, since it chucks the original tank for the later GTS model, lost the matching side panels for earlier Sport-style pieces, and is generally going for a more classic look. It needs a bit of work still, from the original listing: the fuel line is not yet installed and the dash lights still need to be wired up. It looks like all the important work has gone into the bike, so this could be a perfect chance to pick up someone’s 95% finished project for much less than it would cost to replicate. It’s not perfectly original, but that wouldn’t bother me in the least, if the price makes it attractive. 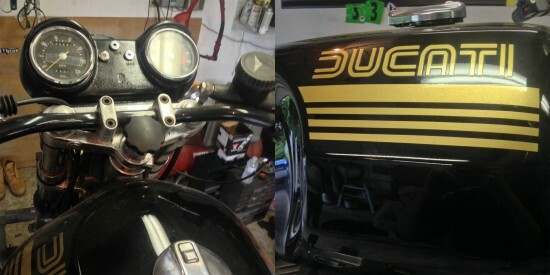 Interestingly, of the three black-and-gold Ducatis I’ve posted this week, this is the one I’d most like to own. I’d probably just get it running, then have someone fab up a dash to house a nice, white-faced MotoGadget gauge, wire that up, and call it a day. Interesting Duck, $7K reserve not met. Indeed bevel prices are going up. Hi there, just wanted too tell you, I loved this article. It was funny. Keepp on posting!